Boxset celebrating the 5 years of Toxic Industries, limited to 50 hand-numbered copies. An international compilation featuring 47 artists from China, Colombia, Croatia, France, Germany, Greece, Hungary, Iran, Ireland, Italy, Japan, Luxembourg, Macedonia, Norway, Philippines, Portugal, Russia, Slovenia, Thailand and United States. 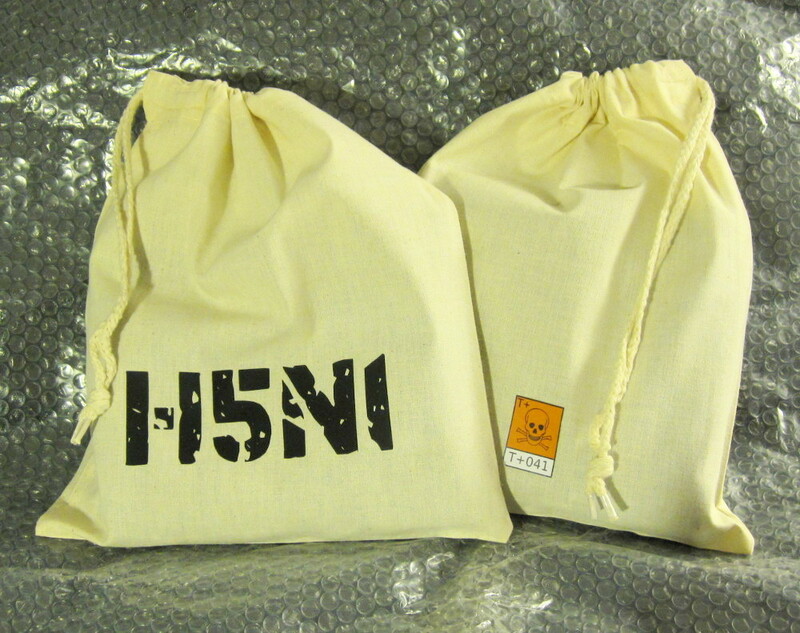 The box theme is the infamous virus H5N1. 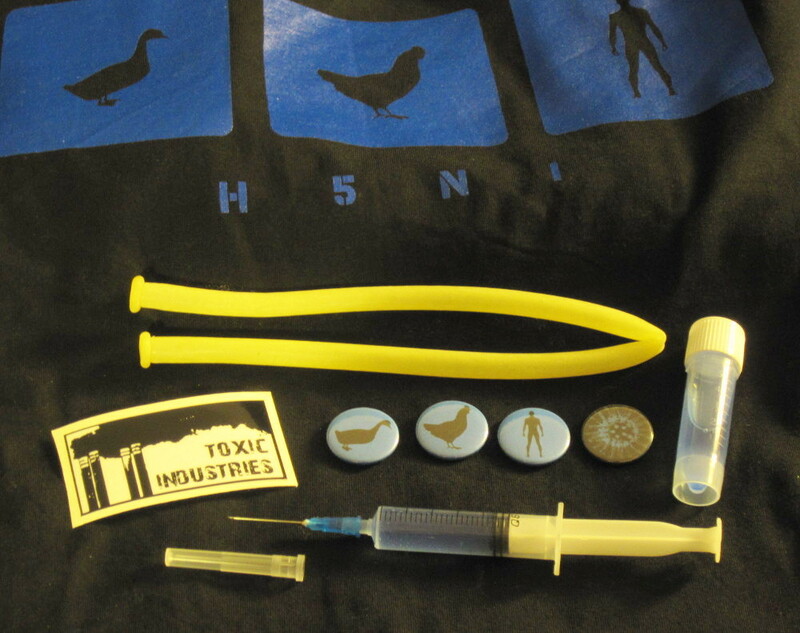 It contains 4 CDr spray-painted with blue and black dots, packed in zip-lock sleeves, a black t-shirt with blue artwork, 4 pins, a sticker and a “self-infection” kit featuring a syringe, a tourniquet and a vial.